A gentle introduction to meditation with the Angels, to help promote calm, balance and greater well-being in your child. If your child has a cut or a scrape, you turn to your first-aid kit. Angels Aid is like a first-aid kit for emotional upsets, but it is also much more. The meditations in this book will help your child to sleep better, improve their concentration, strengthen the immune system, encourage healthy eating, and help to bring about emotional balance by decreasing anxiety and promoting relaxation. Through use of the guided meditations, your child will also learn how to visualise, expand creativity and follow simple instructions. 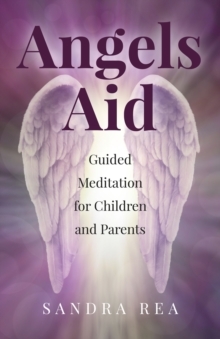 The beautifully scripted angel meditations are written in a way that you can easily read to your child and teach them to meditate, even if you have never meditated before. The book is laid out so that each chapter broaches an area of concern such as behavioural issues, so that you can deal with challenging situations head on; while also helping your child become more happy and healthy through the practice of meditation.